Novel Matters: Name That Author Contest--Winners! 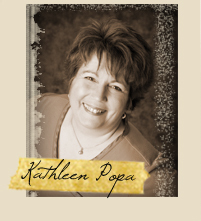 Our grand prize winner of a $50.00 gift certificate for George Popa Sculptures is: Karen Schravemade!! Karen, email us at novelmatters@gmail.com to claim your prize! 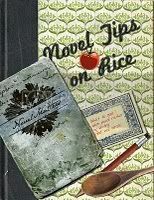 Our second and third place winners who will receive a copy of Novel Matters on Rice (and they are sooooooo pretty!) are: Henrietta Frankensee, and Cynthia Ruchti!! Ladies, please email us to claim your prizes. a copy of Novel Matter on Rice to the lovely (and very correct) Megan Sayer! Email us! Congratulations to all the winners, and a big thank you to all who played along. Now for the reveal of who wrote what! My keepers won’t let me out of their sight. If they think I’m going to fill my pockets with seashells like a wannabe Virginia Woolf and walk into the Pacific as if it were the River Ouse, they needn’t worry. That isn’t how I have it planned. Though they’ve pretty much crashed my site when it comes to the logistics of just how I’m going to pull this off now. 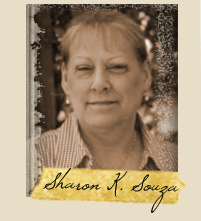 This gorgeous bit of writing was produced by Sharon Souza. It's from her completed novel The Color of Sorrow Isn't Blue. drew breath, or saw his dying mother’s eyes. As if she had ever seen his. 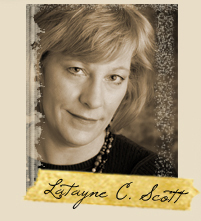 This is the haunting beginning to Latayne Scott's completed manuscript A Conspiracy of Breath. Ponds Beauty Cream. Three library books, one with a bookmark only pages from the end. A picture of Papa, me, and the twins. And a Bible swollen with use. 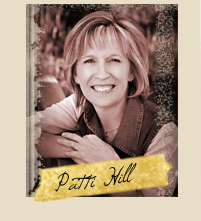 The rich and dreamy excerpt belongs in Patti Hill's completed novel titled Goodness and Mercy. This writing started an interesting conversation about voice and how a writer sounds like the place she comes from. 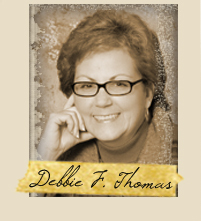 Debbie Fuller Thomas is the author of this engaging writing, it is from her work-in-process, Crossing the Breakheart. These are words of my lost hope. Lost or taken, I can’t be certain, although I once was sure about the order of my life, of the people who came and went, what things occurred and what did not. Does it seem strange to speak about the things that did not happen? As if absence can be marked by the fact of it. How can a person catalogue the life that did not take place? 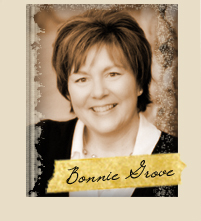 This writing comes from Bonnie Grove's completed novel, A Girl Named Fish. "He's not the antichrist - I'm not saying that. Because everybody's going tolove the antichrist, and nobody likes Chuck. It's his one saving grace. But you watch him." This last but not least excerpt belongs, of course, to the wonderful Kathleen Popa from her work-in-progress The Wonders of America. We hope you enjoyed our Christmas contest as much as we did. On Monday, we will post a roundtable discussion about these novels, and explain the context of the excerpts. We invite you to join us on Monday to share your writing and reading insights and ideas. For now: Did you guess correctly? Is there any author reveals that surprised you? Oooooh, I'm so stoked! Thank you so much!!!!! But thank you again. That was so much fun, and I'm really looking forward to reading all these new books now! Congrats to the winners. These Novel Matters ladies need to get their books sold! It was a really hard contest. Discovering that one's instinct is trustworthy is actually really quite scary.